Management of BIM projects requires a specific set of skills and this course develops your ability to act as a BIM management professional. BIM Management is either a project or organisational function that includes strategic implementation of BIM combined with technical skills and knowledge to be able to support a BIM project. It can either be a client facing or an organisational role but is essential to the success of BIM projects. The CIOB BIM course focuses on the requirements and skills needed to qualify as a BIM management professsional. 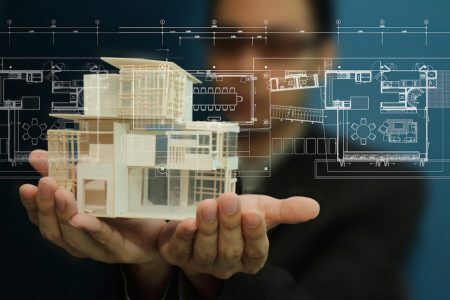 You will learn about what BIM can achieve on a project, ensuring vision and strategy are aligned to projects, engaging external stakeholders, and collaborating with partners and internal teams. This will allow you to assess, plan and provide support to clients and internal stakeholders during the BIM process, and manage all the related documentation and information. In summary, this training will align you to the skills necessary to manage BIM projects, without all the extra information that’s not relevant to these projects. Rebecca has always had a keen interest in digital technologies and how they can radically change the way we work and interact in the Built Environment. Having studied and been employed in Australia as an Architect the basis for her experience always involved managing and training teams to utilise technology and interact with those ready and willing for change to enable a more efficient workflow. Rebecca lived in the UK for almost 10 years and following a series of successful senior roles in varied architectural organizations, Rebecca now manages her own consultancy, Digital Node, providing advice and insight to construction professionals globally on advanced digital solutions on projects as well as implementation and management processes. It is with this knowledge that she is able to communicate, train and manage teams in a BIM environment as well as ensure her knowledge is spread throughout the industry within education and non for profit groups. Rebecca supports Building Smart globally, sits on the Autodesk Developer Network and Expert Elite groups and works with the UK BIM Alliance and BIM Regions to help industry upskill. She is a strong advocate for diversity (Chair of Women in BIM) and works with higher education by tutoring and lecturing both undergraduate and postgraduate students in BIM and Construction Management. Rebecca is also a fellow of the CIOB and offers support and training to the likes of BSI, CIOB and other institutions in the BIM space. Her interest in training and upskilling also involved a strong social media presence for herself (@becdecicco), her organization (@digital_node) and finally her diversity group (@WomeninBIM).